FEB. 16TH 2019 SOLD OUT!! Dwight's Show is not to be missed!! I Heard It Through The Grapevine. Marvin Gaye. - My Girl. The Temptations. - Reach Out, I'll Be There. Four Tops. - What's Going On. Marvin Gaye. - Dancing In The Street. Martha Reeves & The Vandellas. - I Want You Back. The Jackson - Superstition. Stevie Wonder. - and many, many more!! 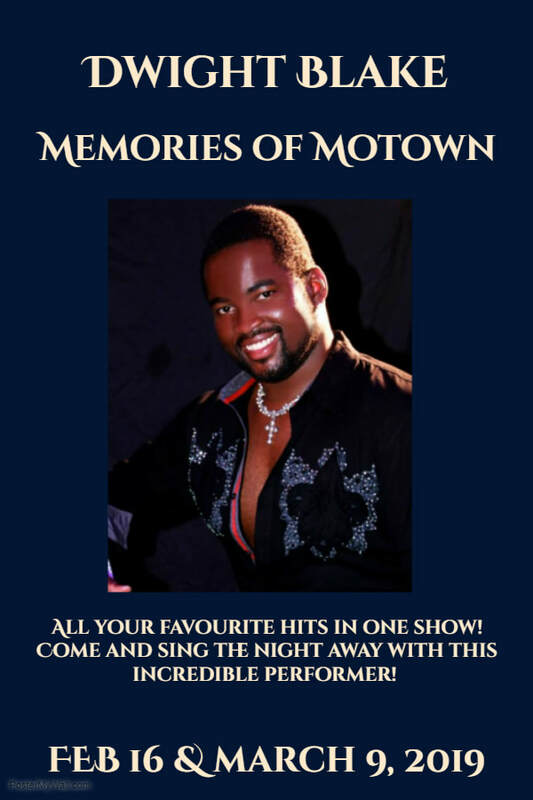 Luna Lounge is delighted to welcome him back to perform his wonderful "Memories Of Motown" show! If you are lucky enough to have seen Dwight in action before, then you know just how great this show is going to be. Buy your tickets today as they are sure to sell out fast! !